What did you make for Superbowl Sunday? I made something like, oh, forty potato skins–it seemed like that, at least. As I was scooping out the potato flesh from their skins, I asked myself what in the world I’d do with all the leftover potato guts. A couple days later, I turned it into a soup I think I liked even better than the greasy, heavy appetizers! 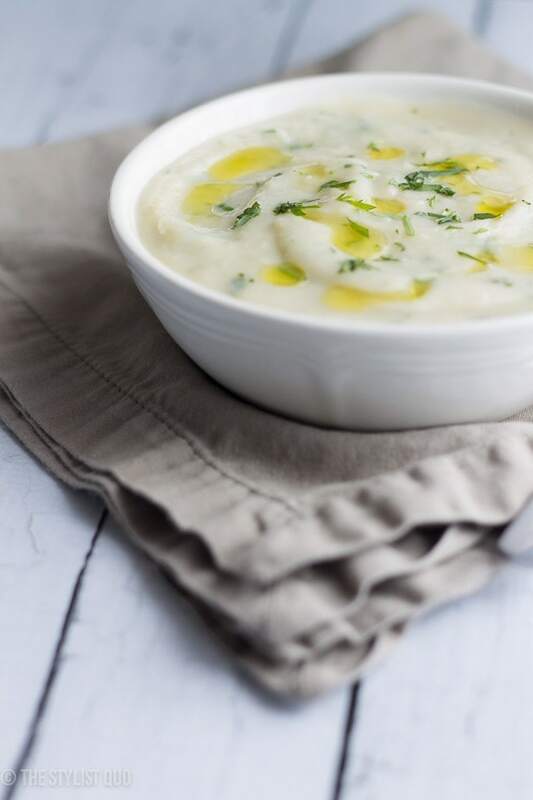 Mashed potato soup is such an amazing way to use up leftover mashed potatoes, since the bulk of the recipe is already finished, leaving you to whip up a simple roux and simmer, season a bit, and there you have it–a piping bowl of satisfying potato soup that tastes like it took all day to make. 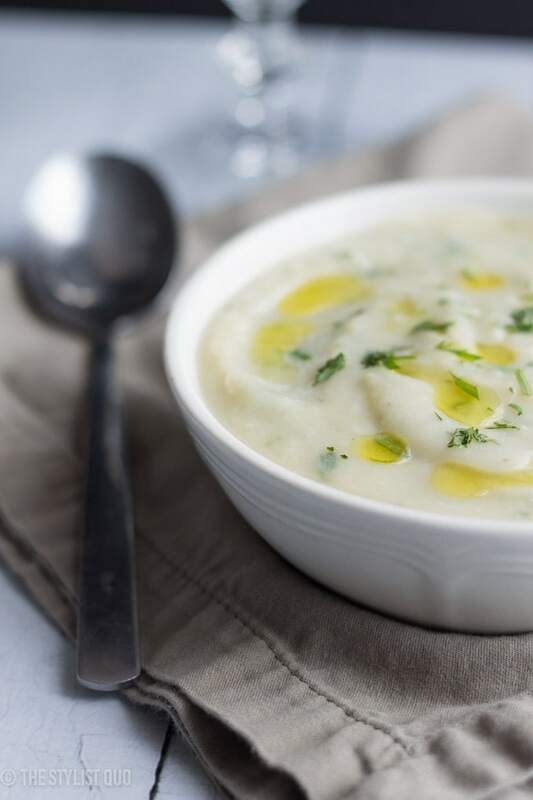 Potato soup is nothing new, though, so what’s so special about this recipe? It’s simple, so say it with me, folks. 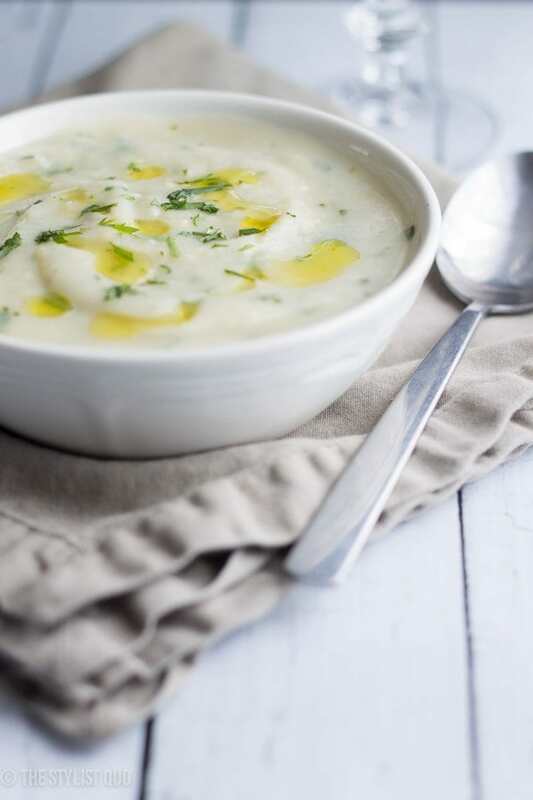 That’s pretty much turned into my meditation mantra these days, and for good reason: the light, herbaceous, almost-licorice taste of fresh tarragon turns potato soup from a ho-hum Pinterested mommy-blogger recipe into a gourmet dish, bursting with flavor and elegance. 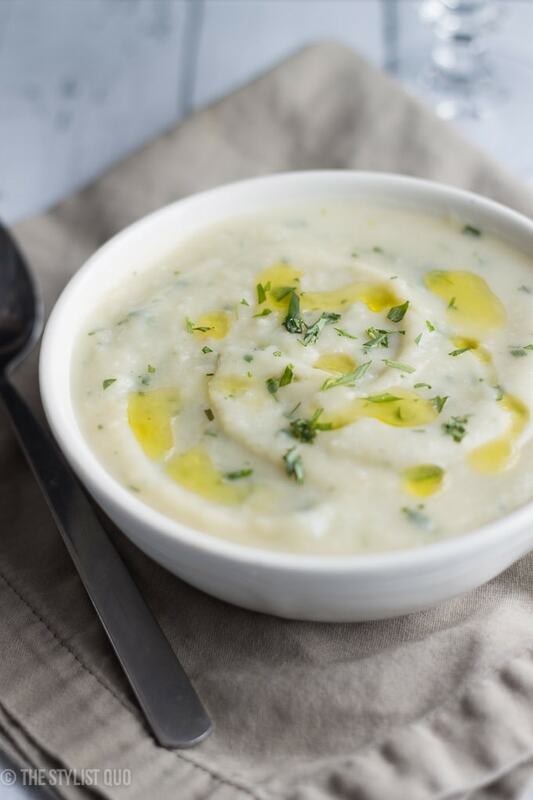 Of course, there’s nothing wrong with loaded baked potato Crockpot-type recipes (and they’re totally delicious from time to time), but when you’re looking for something with a bit more simultaneous sophistication, ease and lightness, I’ve got the soup for you! Tarragon is an herb almost traditionally found almost exclusively in French cuisine (French tarragon, that is; you can also find a Russian variety, but it’s much weaker in flavor), which naturally infuses any dish with a bit of culinary excitement and feeling of indulgence. I wasn’t sure how well it would work in a potato soup, which is traditionally quite heavy and wintry, but I was so, so pleasantly surprised. 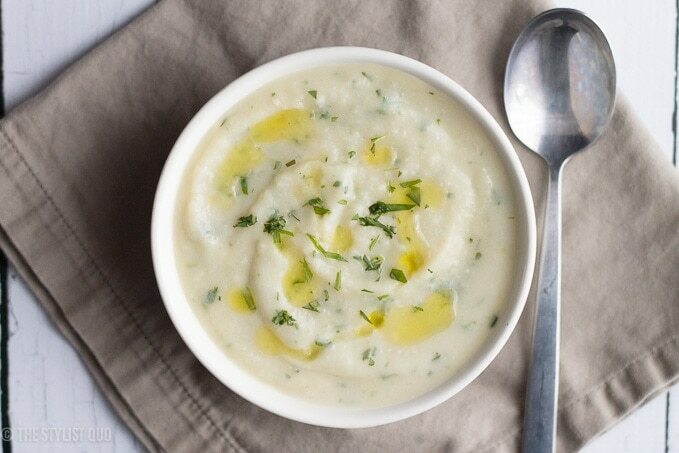 The sweet tarragon mingled perfectly with the smooth, creamy potatoes, adding a je-ne-sais-quoi that I just adore. 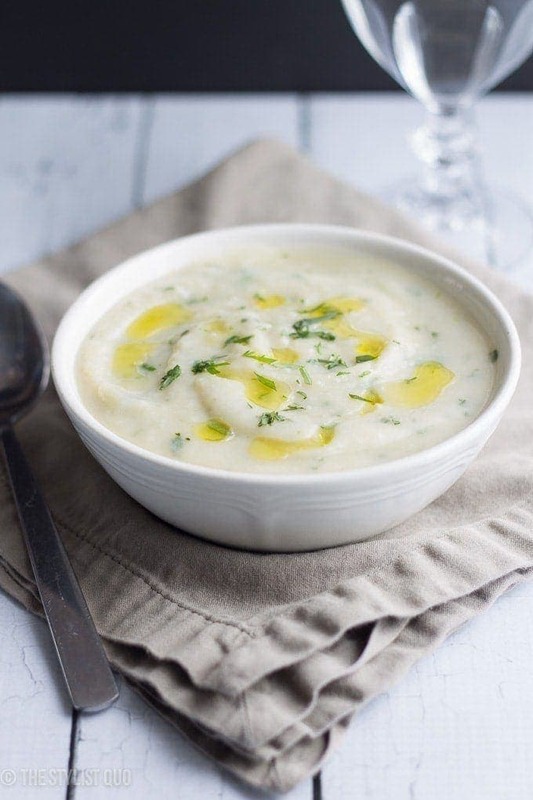 A delicious, gourmet use for leftover mashed potatoes, upgraded with bright, fresh tarragon. Melt butter in medium saucepan over medium heat. Sauté onion in melted butter until soft, about 5 minutes, then add garlic and sauté, stirring constantly, about 1 minute, or until deeply aromatic. Sprinkle flour over and cook into a deep, golden-brown roux, about 2-5 minutes or so. Add in stock and whisk until smooth. Bring to a boil then lower heat to medium-low and simmer until a little thickened, about 5 minutes. Add in potatoes and 1/2 cup milk and whisk until smooth. Heat through. Add in additional milk until your desired consistency (I used a full 1 cup milk). Blend either with immersion blender or in batches in a blender (be careful! Keep a towel over the top and make sure the lid is on tight. Always go with smaller than larger batches. The last thing you want is a nice spray of hot potato soup from the blender.. This is why I recommend an immersion blender), until desired consistency. Stir in herbs and season with salt and white pepper, to taste. 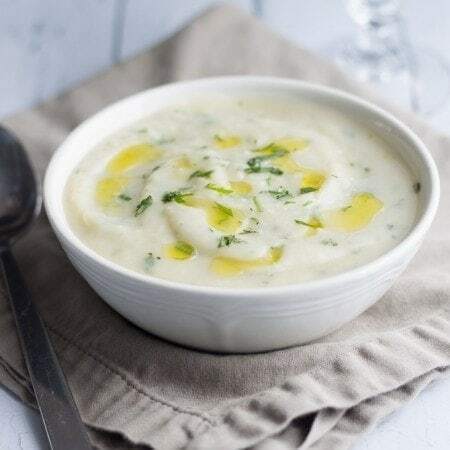 Ladle into serving bowls and garnish with additional fresh herbs and a drizzle of oil, optional.